A couple of weeks ago, Google released Chrome 10, then after that, Microsoft released IE9, so you’ll probably know what would happen next. 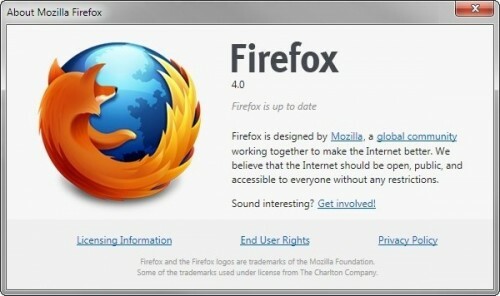 Tomorrow, Mozilla will unveil version 4 of their renowned Firefox browser. But in case that you wanted to have the new browser experience first than everyone else, your in luck as the new release is now available for download from Mozilla’s server in Windows, Mac or Linux versions. So get yours now and celebrate the release tomorrow, just don’t spoil the fun for those willing to wait.